a site for information about the U.S. 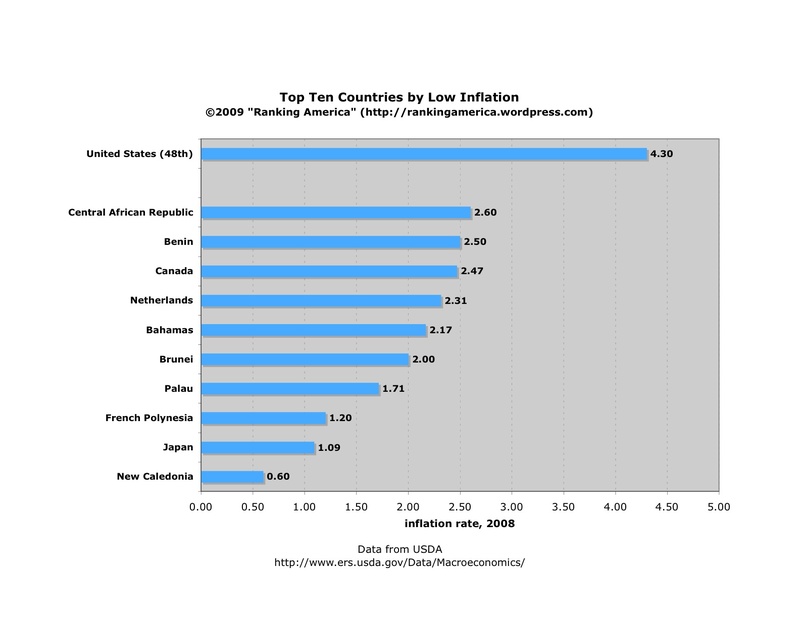 According to the USDA, in 2008 the United States had an inflation rate of 4.30%, which made it rank forty-eighth in terms of lowest inflation rates. New Caledonia ranked first, with an inflation rate of 0.6%. According to the HSBC Bank International Expat Explorer Survey of 2008, the United States ranks sixth out of fourteen countries in terms of the best places to raise expatriated children. Spain ranks first. Want me to e-mail you? Enter your email address to be among the first to know about new posts. I try to post a new entry every other day. "Misadventures in the Common Core"